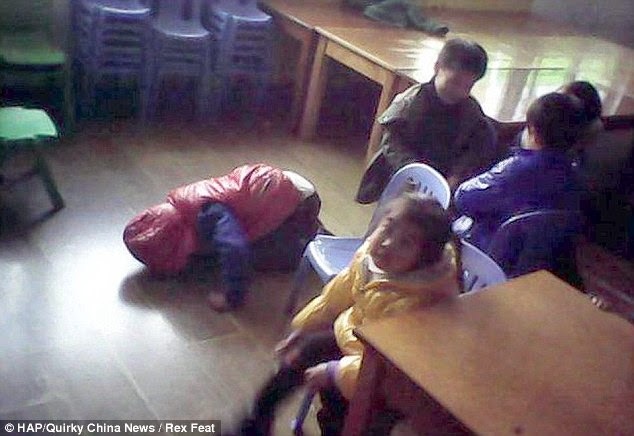 It is a photo that has sparked widespread condemnation in China, and outrage around the world – a primary school teacher holding a screaming child off the ground by only his ears. 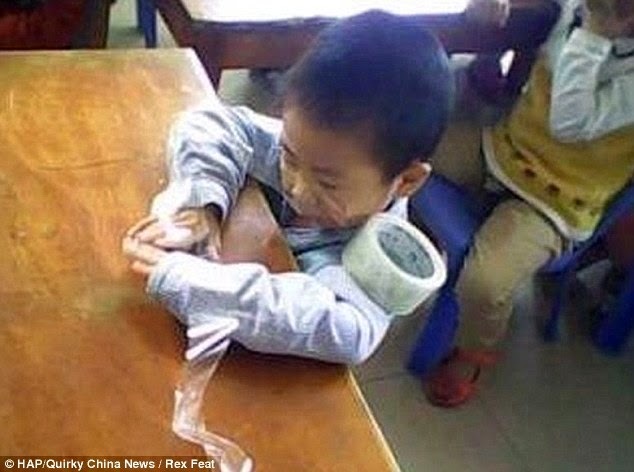 The young boy appears to cry out in pain as he is hoisted into the air by 20-year-old Yan Yanhong. 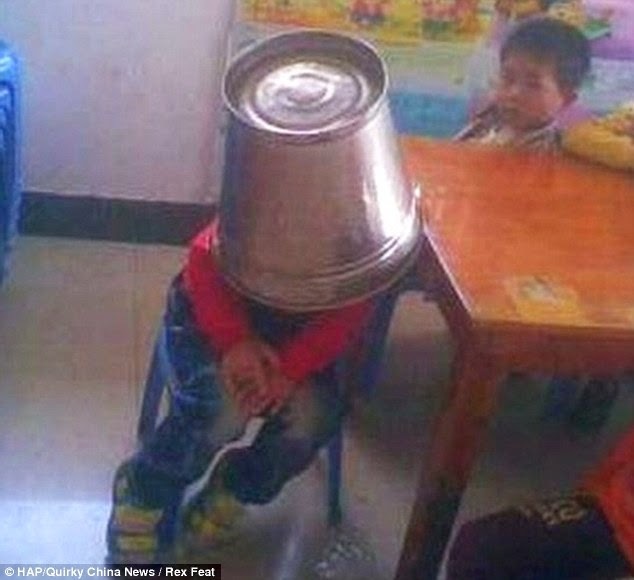 A further 702 photos of Ms Yanhong's class in Wenling, Zhejiang Province, show children with buckets on their heads, with their mouths taped shut and dumped headfirst into wastepaper bins. 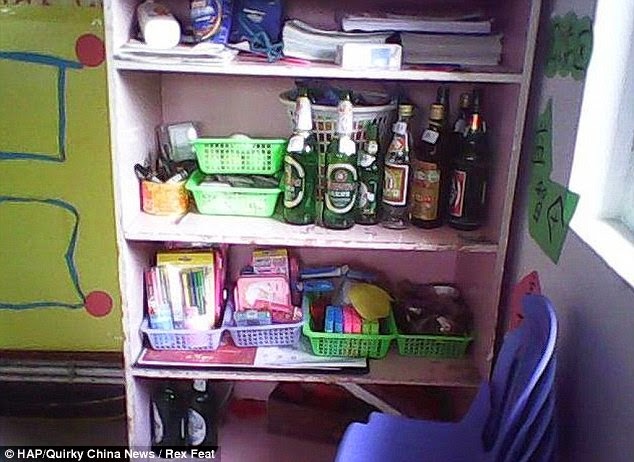 Another shows a shelf in the classroom littered with empty beer bottles. The teacher exposed her own appalling behaviour by sending the shocking image to a friend, prompting a storm of criticism after it was posted online. Ms Yanhong defended her actions in lifting the boy up by the ears, saying: ‘I see him as a good friend, and just made fun with him. The local education bureau said Ms Yanhong had now been dismissed and the school 'punished'. 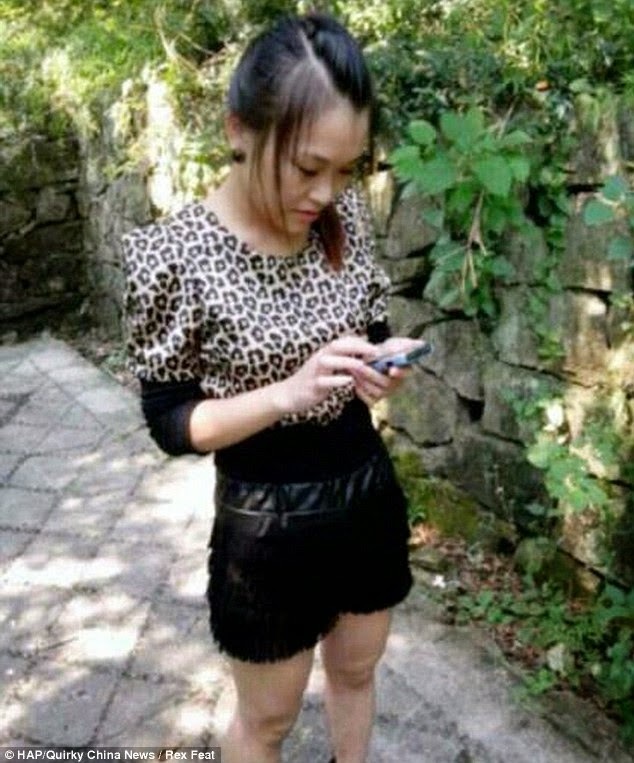 The disgraceful pictures emerged following a recent scandal over CCTV footage showing another Chinese schoolteacher repeatedly slapping her pupils. She was filmed hitting four children more than 120 times after they failed to answer questions. 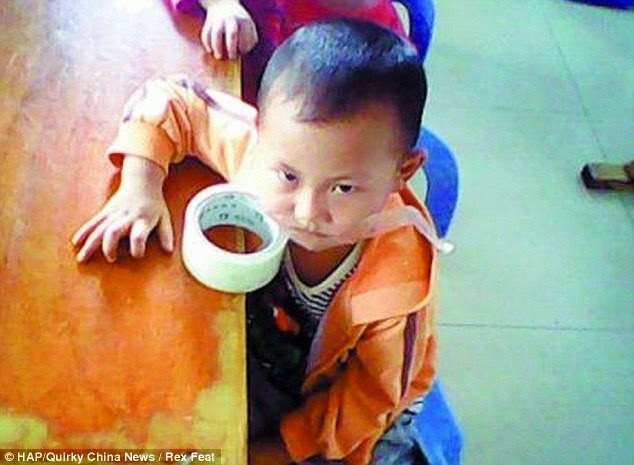 The disturbing 30-minute CCTV footage of her slapping and kicking pupils was recorded at a pre-school in Taiyuan, in the northern Shanxi Province. The incident came to light after the father of one of the little girls, named only as Mr Han, came home to find his daughter's face red and swollen. Mr Han visited his daughter’s playschool and demanded to see the CCTV tapes, which revealed the teacher abusing his daughter and three other children. Mr Han added that the teacher slapped the other children 43 times, 27 times and ten times respectively during the short clip. Mr Han said it was not the first time his daughter had returned from school with bruises on her face, but he had always assumed she had been injured while playing. 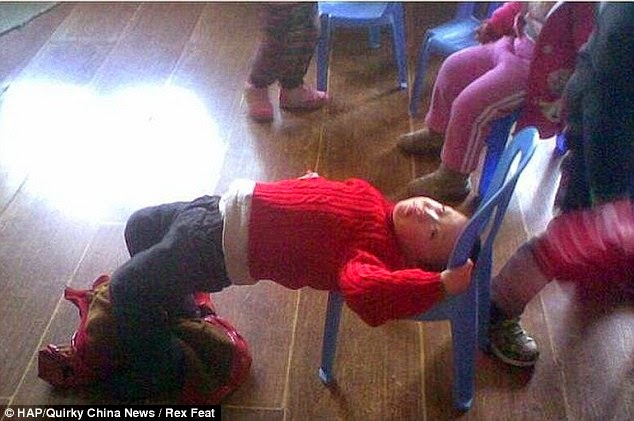 The teacher in question has been sacked from the pre-school. Below is a picture of the children's locker with bottles of alcholic drinks littering the place.